A few weeks ago Simon (My longtime friend and helper) and I started fiddling around with some old Deluxe Galaga graphics files. (Deluxe Galaga was the grand dad of Warblade and were it all started) And I started coding on a small test of Deluxe Galaga in Unity. After a few hours we had something up and running. 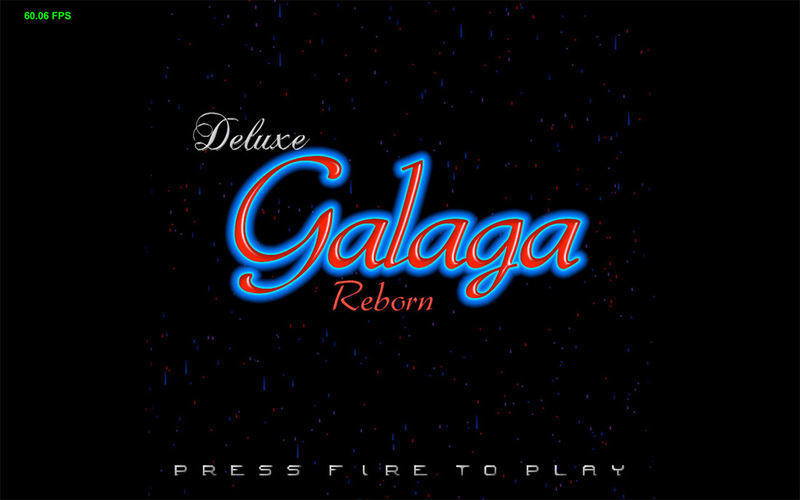 Simon dug up his Amiga emulator and started grabbing sound samples and more of the graphics from the 2.6c version of Deluxe Galaga on the Amiga. We had a lot of fun, actually more fun with making a game then I have had in years struggling for months/years to get some game on the iOS AppStore and then earn close to nothing. It was fun to code again!! So as the days passed the test game got bigger and with more stuff added in. We have now uploaded some screenshot of this new project and last night even a early test version to run on a PC or Mac. We hope to complete this remake as a pixel perfect clone of the old Amiga game and have it out as soon as possible. The game will be sold separately and also later included in Warblade Mk II as a bonus play mode. It will also help me enormously with getting my focus back on Warblade Mk II, where it should have been the whole time. Kevin my graphics wizard is also hard at work on a super cool free gift to all the Warblade Mk II funders. And he is also working on graphics for the new game! More very soon and new test builds will be added as soon as we have added in something new. Check test game out here : emv-software.weebly.com/warblade-mk-ii.html Once again, many thanks. Have fun. If you aren’t too familiar with either Deluxe Galaga (best Galaga version ever) or Warblade, you can read my review of Warblade here. Next A Quick Guide to Amiga Emulation: Where to Download Games? Sounds cool. Will have to check it out if I get the chance. Sounds good. 🙂 Beware though, the game is VERY addictive, even if it doesn’t look that way to begin with. 😀 Enjoy! I remember Deluxe Galaga on the Amiga. Great game. I used to compete with my parents for high scores. My Dad was pretty damn good at it. Nice! 😀 Maybe you could challenge your Dad with the new upcoming version? I’m sure he’d like that. Curiously, during the 1990s my parents were so addicted to video games they bought a second Amiga 1200 and then later a second Playstation. But now they only play Candy Crush and in my mums case Farmsville. Glad to hear that you are looking forward to giving it a go. I’m sure you won’t be disappointed.